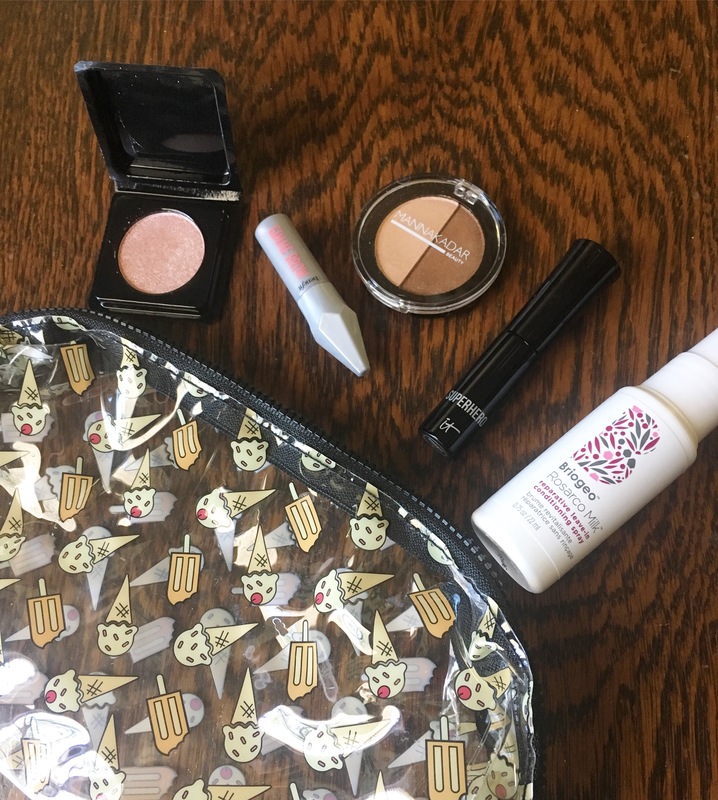 My May Ipsy Glam Bag is here! Keep reading to see which products I received as well as a picture of the look I created using these products! It Cosmetics Superhero mascara- this mascara is really great for lengthening, but I had to use another mascara to give my lashes more volume. Hikari Cream Pigment in Honey Dew- this is called a “cream pigment” but it is actually a pressed powder pigment. It is still a gorgeous rose gold shade and I used it as a highlighter! Benefit Gimme Brow brow mascara- I love this stuff! It is the only brow product I am wearing and it’s really good for natural makeup days. 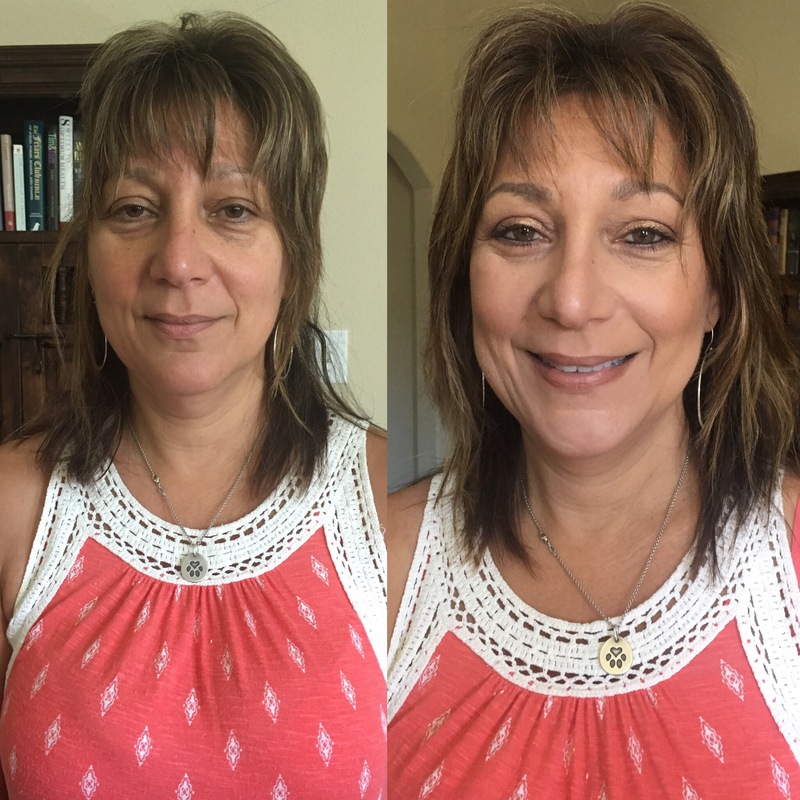 Natural Makeup On My Mom! Today I did my beautiful mom’s makeup! I kept the look pretty natural while also accentuating her features. 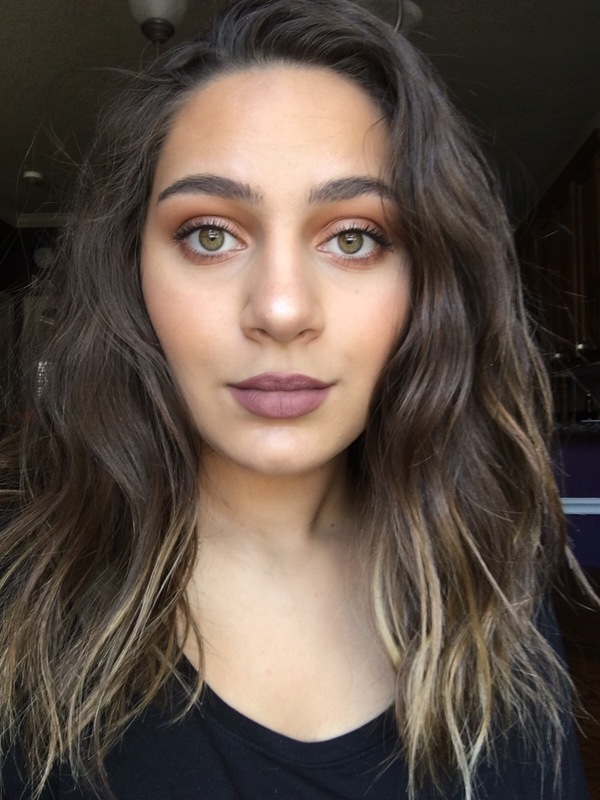 For a full list of products I used, keep reading! “Instagram Makeup” has become quite popular recently and I wanted to create my own version. 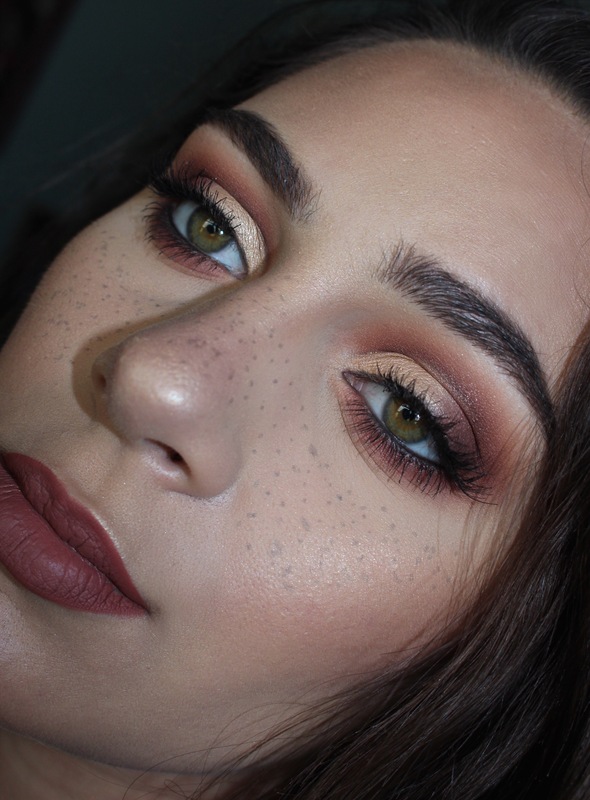 If you are unfamiliar with this trend, it basically takes makeup application to the extreme (bold brows, bold lips, cut-crease eye shadow, dramatic fake lashes, fake freckles, contour, highlight, the list goes on and on…). I also created this makeup look using products that are very popular amongst the beauty community just to go along with the theme. 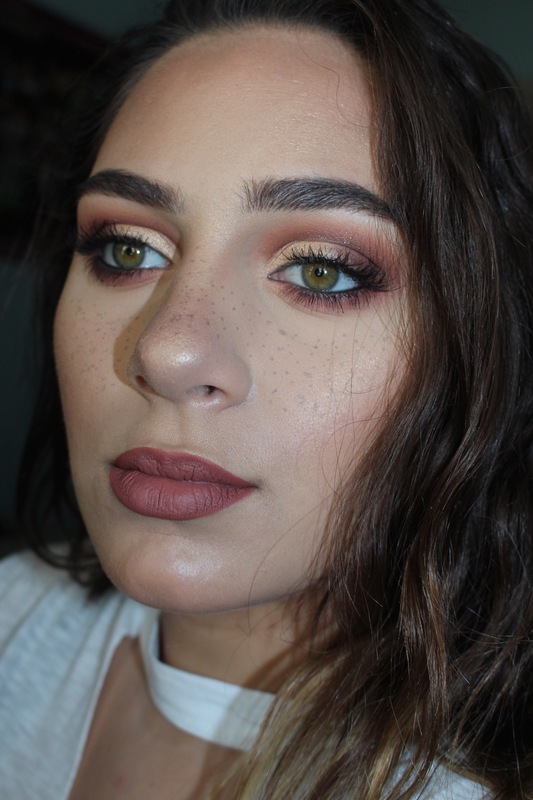 For this look, I did a half cut-crease eye, bold brows, faux freckles, and warm pinky brown lip color. 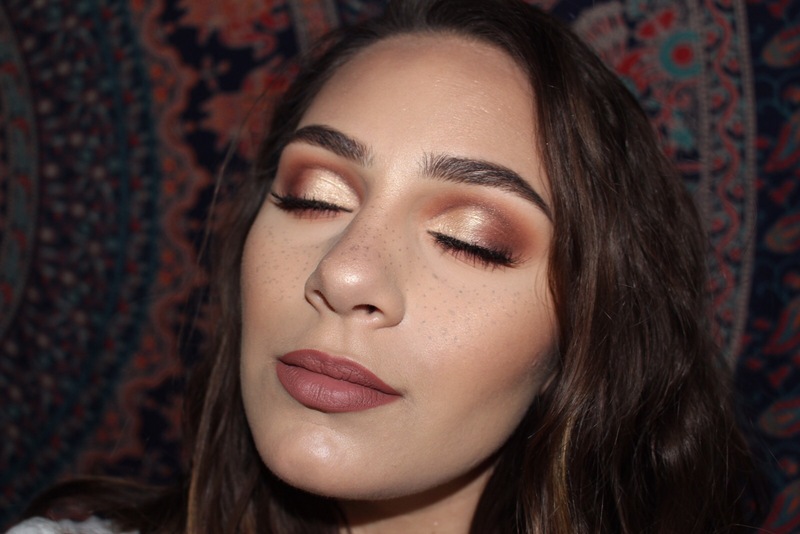 This makeup is full coverage and would also be great for prom! For a full list of products used, keep on reading! Anastasia Beverly Hills Modern Renaissance palette. I layered shades Golden Ochre, Burnt Orange, Raw Sienna as transition shades. Applied Red Ochre and Venetian Red in the crease. Used Cyprus Umber to deepen the outer corner. Tarte Shape Tape concealer to trace out the half cut crease then patted the shade Primavera from the palette on top. Used the same crease shades on the bottom lashline and smoked this out heavily. Achieving a perfect smokey eye seems simple enough, but if you aren’t using the right technique it can leave your eye makeup lookin patchy and unblended. Keep scrolling for the smokey eye tip that will save your look! So, here’s my tip: a cream base! For maximum pigmentation and staying power, the best way to make your smokey eye pop is to apply a cream base all over your lids before patting on the shadow. In the picture above, I applied the NYX Jumbo Eye Pencil in black bean all over my lid and blended it out into the crease. Then, I patted on the matte black shade “punk” from the Tarte Tarteist Pro eyeshadow palette (any matte black will do) to intensify the color and set the cream base. The powder shadow will adhere to the cream base so much better than your bare eyelid or primer. If you try to just go in with a shadow and smoke it out, you will have to keep layering and layering the color because you’ll keep blending out the pigmentation and it might start to get patchy as well. By patting a shadow overtop of a cream, you are getting the most out of the shadow by not buffing it out too much. Hopefully this post was helpful and will make your makeup application much easier!